Novotel Pune is in close proximity to Pune Airport, offers 223 ergonomically designed rooms and 11,000 sq. ft of banqueting space. It is close to the Pheonix Market City, Osho International (Koregaon Park), Agakhan Palace (Kalyani Nagar) The hotel offers multiple Dining options, Fitness centre, Outdoor Swimming pool, Kid's Play area.The Hotel offers easy access to the business hubs - EON IT Park Kharadi, Magarpatta and Yerwada. Walk down the lanes of Pune and you'll be immersed in the culture & tradition of the city. 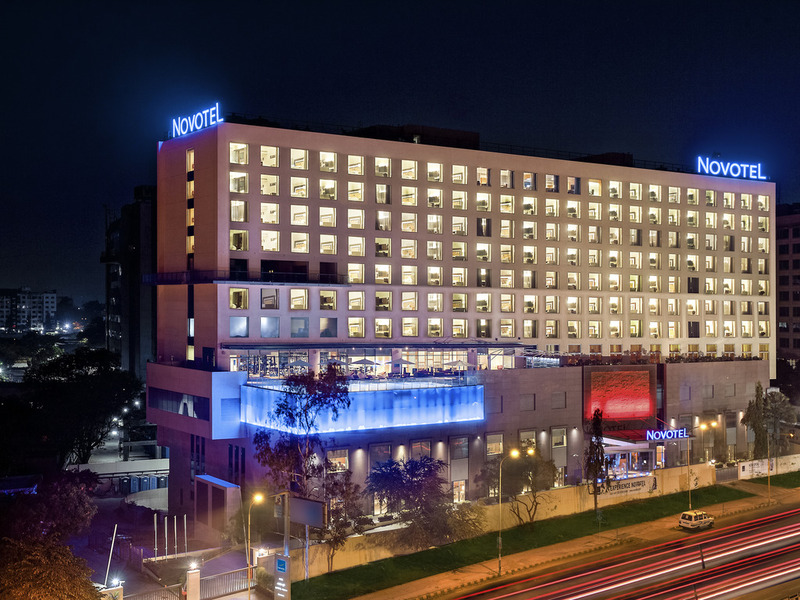 Novotel Pune located amidst key commercial and entertainment zone of the city, is ideal for both business and leisure travellers. A spacious room with contemporary décor, offering an option of King size bed or Twin beds along with in room facilities such as LED TV, Tea/Coffee maker, In Room Safe, Mini Bar and complimentary WiFi. Comfortable stay for up to 2 adults & 1 children. Premier room promises comfort with access to Premier Lounge, complimentary Local Airport Transfers & breakfast, all day refreshments and cocktail hours in the evening and a range of in room facilities. Comfortable for Up to 2 adults and 1 children. Our Signature - all day dining restaurant offering sumptuous Indian and international flavours off the interactive cooking stations. An ideal place for Sunday Brunch with lavish buffet and live music. Explore the mouth-watering delicacies from around the world with a choice of classic and contemporary cocktails.